Welcome to COAST from Gail, Paula and Kate. COAST ROOMS - All rooms are en-suite shower rooms with coffee/tea making facilities and TV's. Rooms are individually styled with original artwork in both rooms and en-suites. Top floor rooms are smaller but with fantastic sea views, and first floor rooms have good sea views with window seats. For morning relaxation we have a breakfast area, or you can sit on our decking and breakfast in the garden on sunny days. 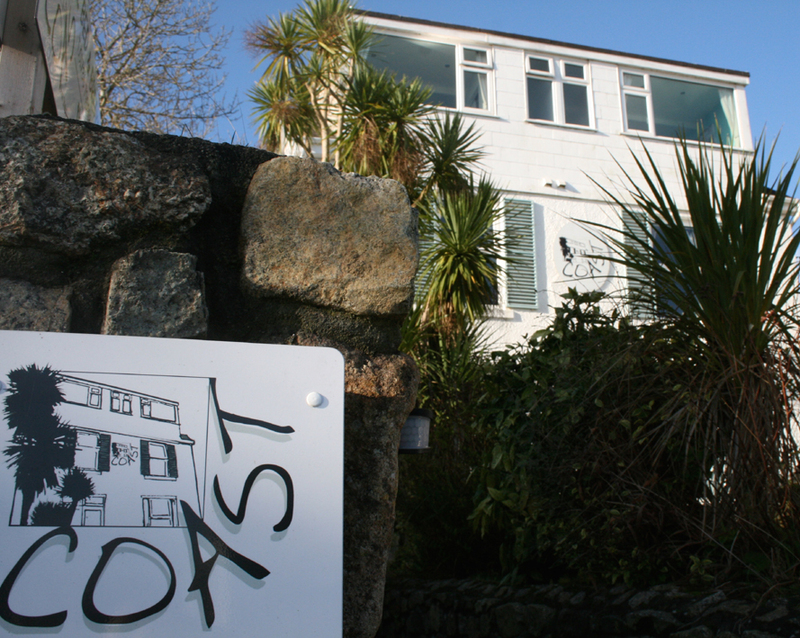 You can book a breakfast at Coast through the Bean Inn and they offer a continental style breakfast, menu including selection of cereals, dairy and plant based milks, freshly baked crusty bread/toast, fresh coffee or tea (wide selection available) fresh fruit, croissant/pain au chocolate, fresh fruit juice (selection available) Cornish Cheese (selection available) Greek style yoghurt etc. The breakfast rooms feature unusual and varied art work by Katrina Slack which range from mixed large media pieces made from ghost fishing gear to traditional cornish landscapes. To the front of the house we have parking. 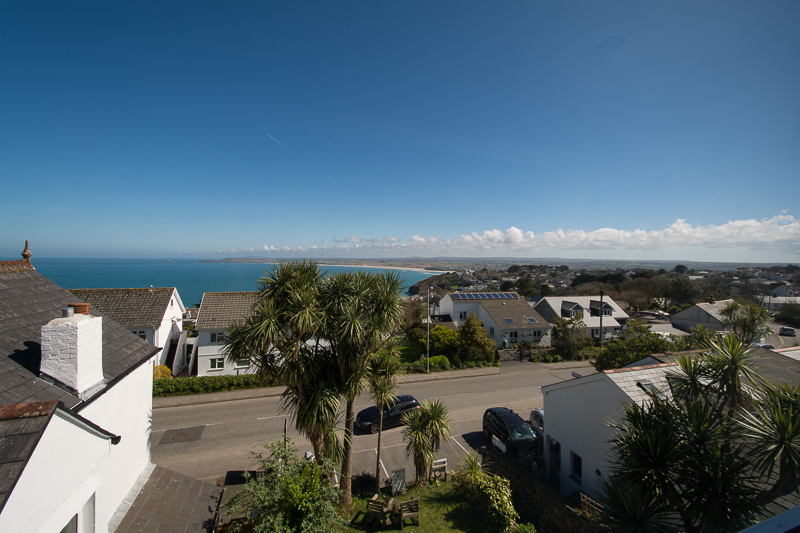 We are set back from St Ives Rd and within easy walking distance to St Ives and Carbis Bay beaches.